Thermal imaging is one of the most popular methods of leak detection available, and here at Cheshire Plumbers we have a team of ITC qualified Thermographers who are on hand to complete your leak detection service. What is thermal imaging leak detection and how can it help you or your business? Thermal imaging leak detection can locate a leak quickly and efficiently even if the area is covered by obstacles. It uses infrared cameras to detect and measure thermal energy released from areas, a leak can then be detected from the heat it releases. Thermal imaging can easily identify underfloor heating leaks, detect defects and identify cold spots. The advantages of this are that rather than using the traditional methods where large areas are ripped up, instead it can be found with minimal disruption. With this type of leak detection a whole house can be scanned incredibly quickly to give you a comprehensive image of the energy efficiency of your home. Leaks can cause many problems for your home and can mean that you’re left with costly repairs where leaks have damaged walls, as well as much bigger energy bills than you should. This method of leak detection means that you’ll spend less money on plumbing costs as the issue is quickly isolated. 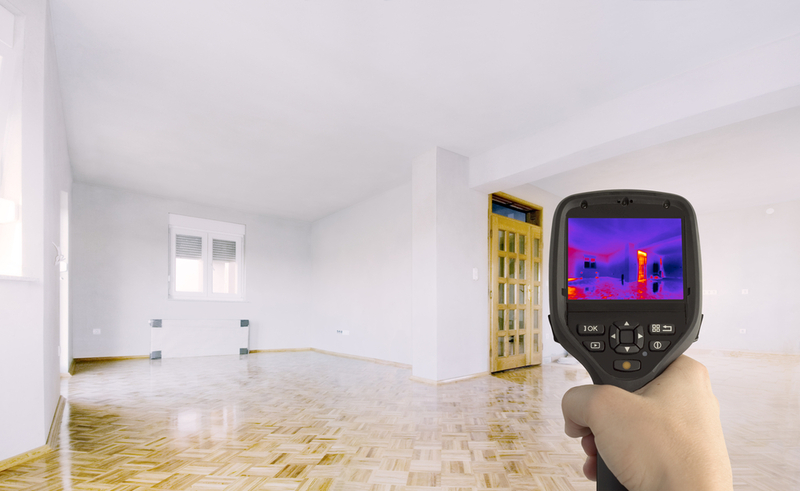 Thermal imaging can also be a good idea if you’re moving in to a new home, you want to inspect insulation for thermal performance or you want to do an energy audit. If you would like to find out more about our thermal imaging leak detection then please contact a member of our expert team. We provide free estimates for all of our projects, so give us a call for a no obligation quote. Leak detection has never been easier with Cheshire Plumbers!